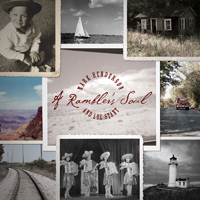 A Rambler’s Soul is a blending of contemporary musical motifs ranging from Americana and folk to pop and country, including influences from Classical, Irish, Mariachi and Cajun traditions. Mark Henderson and Lou Stant have crafted a listening experience that journeys through the soul of our nation, offering the listener a historical and spiritual perspective with inspiration, peace and hope. Accomplished in their own right, Mark and Lou have combined their unique pallets of musical color into a cohesive and satisfying mix of fresh, inspirational compositions. Certainly, this music will be on the listener’s favorite play list for a long time to come!